All Internet surfers must feel annoying when they visit a web page and have to struggle to find and read its content, Google is feeling the same way too. Matt Cutts, the head of webspam team at Google, stated about the upcoming change of Google search engine at the Pubcon conference a few days ago. All heavy ad websites will be penalized on search results. Google is said to be experimenting the new algorithm, Google bots will be able to crawl websites and detect how much content is above the fold. So if you are placing 2 or 3 Adsense ads above the fold, you should make adjustments immediately and show off your content. At the conference, Matt asked publishers to think about the issue, how readers will feel distracting when they see your content obscured by ads. Therefore, the change is intended to improve readers’ experience, but would it affect bloggers’ earnings? In my experience, I think the change will not decrease my revenue from Adsense. 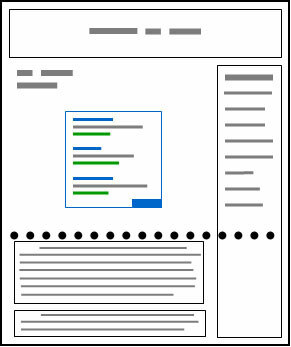 I often place just one ad above the fold because I experimented with 2-3 ads but it doesn’t work. The Page CTR and RPM are even lower when there are more ads on the top. At the moment, you can see I am placing 3 Adsense ads on my page and it is understandable that the ad above the fold has the lowest CTR. People come to my site almost from search engines, so they often skip the first part and scroll down to look for the content. The new algorithm change is in experiment and probably it’s been in effect for some websites already. As the change can affect SEO seriously, we absolutely don’t want our sites to be degraded in search results. 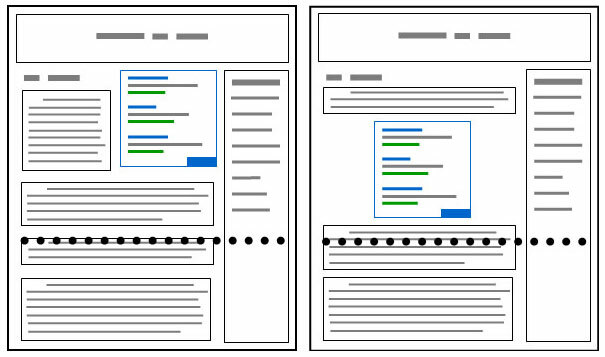 If you have too many ads above the fold, it is necessary to take action right now. Great post Tuan ! That’s a nice step to be taken by Google , and I also agree that placing ads above the fold doesn’t work sometimes . Tuan, most of the time my Adsense appears at the bottom of the post or near the middle. I do have a banner ad in my header, but it’s an affiliate ad. Do you think affiliate ads will be included in Google’s consideration? I heard that Google is detecting just ad scripts at the moment but affiliate and banner ads will be included very soon. Your affiliate ad is possibly counted as a template footprint (which is a non-unique section appearing on all pages), you just need to keep the rate of the footprints to content as low as possible. I think you should remove the link unit. In my experience, the link unit always has the lowest CPC and high CTR, I guess most of the clicks could be counted as invalid clicks. If you can earn just 10 cents a click, it is not worth the placement. I see your content is almost below the fold in all posts, should you consider moving it up? After reading your post, I’ve changed the placement of Ads on my blog SEO MMO Tips. Lets see how much it affects. I guess it will be better for your site. Btw, I see you are writing more posts on SEOMMOTips recently, that’s great to see you didn’t sell it and keep developing the great blog. Great post about above the fold ads. But I’m not sure how Google will identify ads, images etc as ads. Adsense they can obviously identify, but banner space, that would be tricky.